Before we go any further, we need to answer the question: “who are they?” Well, depending on the jurisdiction, “they” are all or any one of the following: the fire chief, the fire department, the fire department personnel, the city (or other governing board), the elected/appointed officials, the community, and the oral interview raters, all combined into one. Passion. Do you really want the position or are you just testing the waters or even worse, throwing out applications everywhere in the hopes of a job? Departments want candidates who are passionate about their department, about their community, about their personnel, and about the position they are applying for. Unfortunately most oral interview candidates cannot demonstrate this quality during an oral interview. Dedication. We are looking for candidates who are dedicated to serving others, including their co-workers, their supervisors, their subordinates, and the community they are serving. We are also looking for candidates who are dedicated to the fire service in general. How will you leave the fire service better than how you found it upon your separation from the fire service? Will you be the one who just came to work and did their time (bare minimum) thirty years from now when you retire or will you have left your positive mark on the fire service in one of many ways, such as through mentoring, training, writing, caring for others, etc.? Integrity. It is very common to see firefighters rank very high on public opinion polls for their honesty, for being a trustworthy profession, etc. Unfortunately some firefighters do those not-so-positive things that risk wrecking our credibility and trust with the public – the ones who are there to support us financially and politically. If we lose that public trust, we’re going to be in a world of hurt. How many professions do you know that are entrusted to go into someone’s house at 3 in the morning and be able to touch someone’s child, such as we are able to do during a medical emergency? Loyalty and commitment. One of the last things a fire department wants to do is hire someone and then have them leave for another department, a department they’ve always wanted to work for. Prove to the oral board and the department you will be loyal and committed to the department and to the community that is willing to give you the shot at winning the lottery by getting a job as a firefighter. Someone that is trainable. Give me someone who is trainable and we have something to work with. Now this does not mean everyone that wants to be a firefighter, wants to be an officer, etc., is ever going to succeed if given the opportunity. It just means that. Positive attitude. We cannot teach you to have a positive attitude; only you can decide when you wake up each day whether it will be a great day or a not-so-great day. Positive (like negative) attitudes are contagious. Be the one that always thinks the glass is half full as opposed to half empty and you’ll be the one most people will like to be around, especially when times are tough and it seems like everyone is out to get you as we are seeing in tough economic times. Return on investment. Like it or not, this is a business to a certain degree. Just like a fire department does not want to spend all the money to hire you, to train you, to clothe you, etc., just to have you leave for another fire department, a fire department does not want to have to also terminate you for whatever reason. In your first year alone, the fire department (taxpayers) will be spending thousands and thousands of dollars just to outfit you with gear and train you to be a safe beginner. Demonstrate you will be a positive return on investment and your chances for getting hired will improve. Low maintenance. Talk to any supervisor or manager (company officer, chief officer, etc.) and I’ll be they appreciate subordinates who are low maintenance, for obvious reasons. Nobody wants to have to supervise high maintenance individuals that require more than the average amount of time attending to. Customer service. The term customer service has never been more critical for the fire service than today. Successful fire departments find ways to ensure their customers feel they cannot live without their services. Unfortunately some fire departments take their customers for granted and end up paying for it in the form of reduced public opinion. Someone that is a good fit for their culture and department. Of all the above mentioned items, this is probably the most important of them all. You can have the best resume in the world (I know, there is no such thing as the best resume as that is a subjective term), but if the oral board does not determine that you will be a good fit for their culture and department, they’re not going to take a chance on you. Fire departments do not hire resumes; they hire people that have positive, can-do attitudes that will make a good fit for their culture and their department. 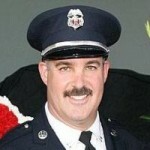 STEVE PRZIBOROWSKI, a Firehouse.com Contributing Editor, has over 20 years of fire service experience, currently serving as a deputy chief for the Santa Clara County Fire Department in Los Gatos, CA. 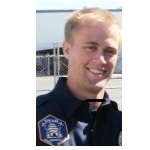 Steve is also an instructor for the Fire Technology Program at Chabot College in Hayward, CA. 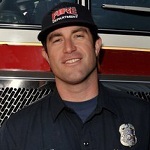 He was named the 2008 California Fire Instructor of the Year and is a former president of the Northern California Training Officers Association. 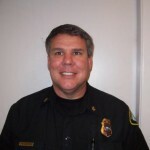 He has earned a master’s degree in Emergency Services Administration, a bachelor’s degree in Criminal Justice, and an associate’s degree in Fire Technology, completed the Executive Fire Officer Program and has received Chief Fire Officer Designation through the Commission on Professional Credentialing. 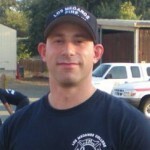 You can contact Steve through his websites: www.chabotfire.com and www.code3firetraining.com.